Workers who perform hot work duties in the workplace have a high risk of injuries and fatalities due to fires and explosions. 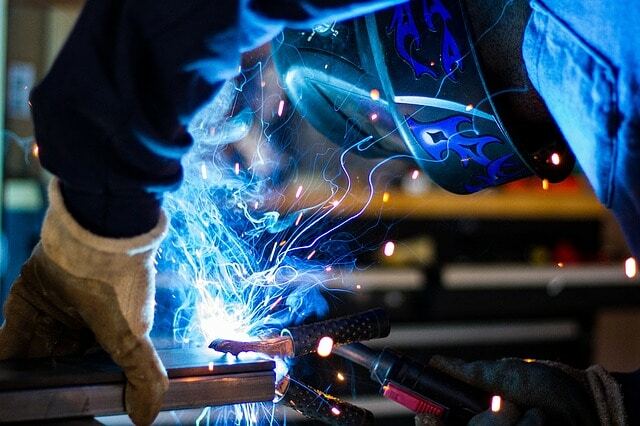 Hot work is defined as workplace jobs that include welding, burning, brazing, soldering, cutting, and grinding with heat guns, power tools, and high-powered drilling equipment. Any of these jobs can produce sparks that ignite sudden fires and explosions. Jobs using tools, equipment, or machinery that create mechanical friction from gears can also create sparks, fire dangers, and workplace accidents, often requiring the assistance of a workers’ compensation attorney. Hot work accidents occur in many U.S. operations including oil production, fuel storage, waste treatment, pulp and paper manufacturing, and food processing. The most commonly result from the ignition of combustible materials causing serious injuries and death from fires and explosions. According to the U.S. Chemical Safety and Hazard Investigation Board investigative reports, fires and explosions are the most common causes of worker injuries from hot work. Workers who perform hot work in confined spaces like combustible liquid storage tanks and containers, oil refineries, and chemical plants are especially vulnerable to fatal injuries due to the flammable atmosphere. In some jobs, workers who handle certain chemicals and high electrical currents can face serious injuries from arc flashes produced when electric current flows through air gaps between conductors. Arc flashes generate large amounts of heat that can cause serious burns to skin and clothing, eyesight damage, ruptured eardrums and hearing loss, head trauma, and brain injuries. The power from an arc blast can throw a grown man that weighs 200 pounds clear across the room. Any worker dealing with live wires and power circuits can be injured or killed by dropping a tool or touching a test probe to the wrong surface. The National Fire Protection Association (NFPA) and the Chemical Safety Board (CBS) created standards for hot work that involves welding, brazing, and cutting back in 1962, far before OSHA implemented hot work safety standards. NFPA standards recommend performing hot work in safe, designated areas that are free of combustible and flammable substances. They also recommend keeping combustible substances at least 20 to 35 feet away from hot work areas. In businesses where hot work is common, combustible materials should be covered with flame-retardant coverings for protection of workers. According to OSHA, companies that have combustible, flammable, or ignitable materials and need to perform hot work in and around those materials need to have a Hot Work Safety Program to protect workers from injuries and fatalities. OSHA recommends having a Hot Work Safety Program in place prior to any hot work practices being performed by workers on the job. All workers who perform hot work should be made aware of job injury and fatality risks from serious burns from fires and explosions, respiratory problems from smoke and fumes, and eyesight problems or retina burns referred to as “welding blindness.” Workers should be warned of any work site areas that contain combustible materials, flammable liquids, gases, paper, plastic and rubber products, and dust accumulation. When practical, all combustible materials should be relocated at least 35 feet from a hot work site. If relocating materials is not possible or practical, they should be covered with flameproof materials, metal guards, or wet materials that prevent ignition. Conveyor systems, augers, and ducts that may carry sparks to other areas that contain combustibles should be thoroughly protected or shut down. When cutting or welding is done near ceilings, walls, partitions, or a combustible roof, fire-resistant shields or guards should be provided to prevent ignition. Seek Immediate Medical Attention – It’s important to seek medical care right after an injury to substantiate a valid claim. Under the Illinois Workers’ Compensation Act, workers may choose their own doctor. you may choose your own doctor. Report the Injury to an Employer or Manager – Under workers compensation requirements, an injured worker must notify his/her employer of injuries within 45 days of the injury, or risk losing the rights to benefits. File a Workers Compensation Claim – In Illinois, most employers must have workers compensation coverage. A worker’s employer reports the injury to the insurance company or claims adjuster who will determine benefits. Under Illinois law, an insurance company must approve or deny a workers comp claim in a timely manner.